Community Yoga Making a Difference in Austin, Texas! "My name is Daniel Goldstein, and I have been involved with Community Yoga Austin for almost four years now. As research began to come out about the mental and physical health benefits of meditation and other mindfulness practices, a good friend of mine, Shawn Kent suggested I look into joining Community Yoga Austin. The mission of Community Yoga is to offer the practices of yoga, mindfulness and other evidenced-based wellness programming to underserved communities who may not otherwise have access. Their commitment is to facilitate personal empowerment and social change by unlocking the inherent value of our communities. 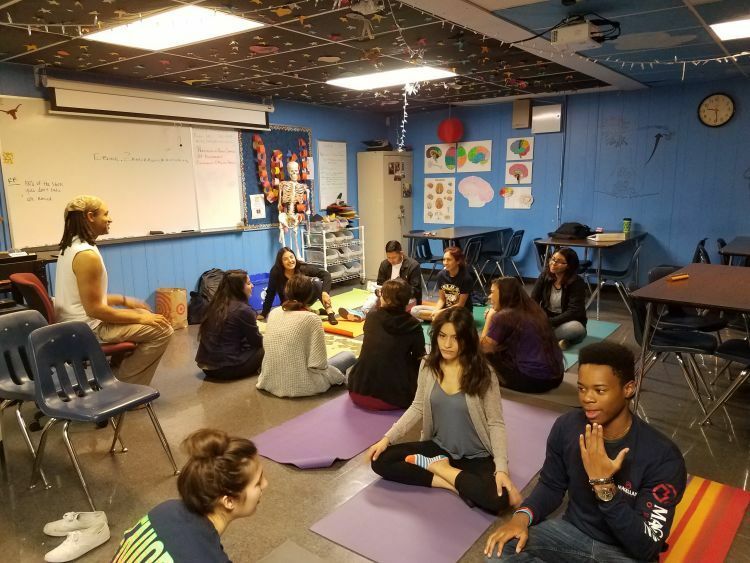 Community Yoga Austin uses yoga and mindfulness practices to help those in our community who have high levels of stress in trauma in their lives. We have three programs focused on elementary school students, high school students, and incarcerated persons. One of our goals is to break the often reported 'school-to-prison' pipeline. We hope others will support us in our mission!"